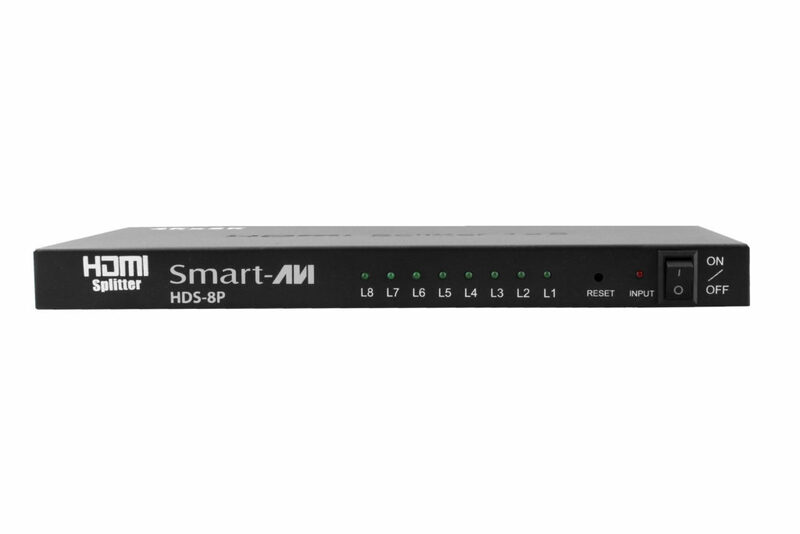 8-Port Ultra-HD 4K HDMI Splitter: send one 4K HDMI video signal to eight separate locations from one splitter unit! 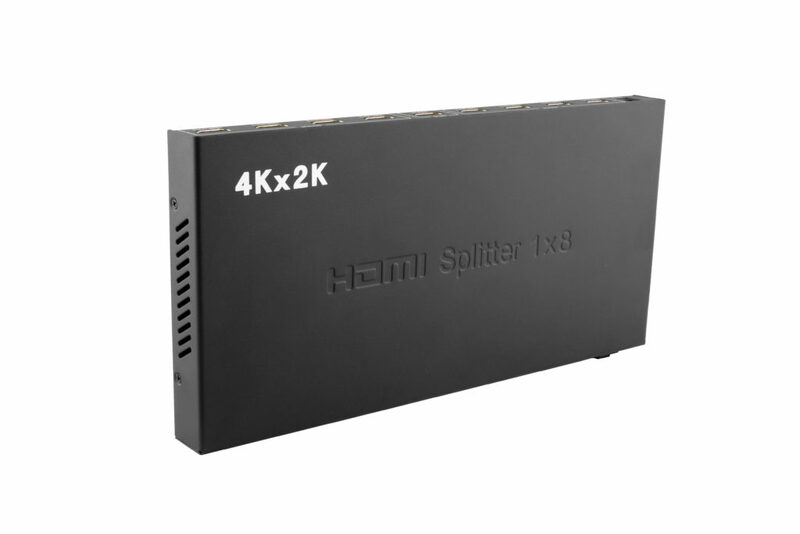 The 4K HDMI Amplifier Splitter includes 1 input HDMI port and 8 output HDMI ports. It distributes the input HDMI signal from the HD source device (such as, STB, PC, DVD, HD-DVD, PS3, etc.) to eight identical output signals simultaneously. More outputs can be created by cascading multiple splitters. It supports full 3D format and supports display resolutions up to 4K x 2K@30Hz, 1080P@120Hz,and 1080P 3D@60Hz. Its frequency bandwidth can be up to 2.97Gbps. This HDMI Amplifier Splitter is perfectly compatible with HDTV, Monitor or Projector, etc. It's widely applied to conference room, education, training, corporation show room and home theater, etc. HDMI can output up to 20 feet from an HDMI device to the HDMI splitter, and then 20 feet from the HDMI splitter to the displays.